Islamabad United squad 2017 has been finalized for the 2nd season of Pakistan Super League. 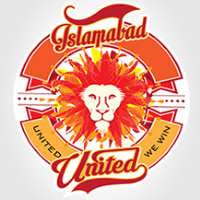 The squad of Islamabad United includes a total of 20 players (7 foreign and 13 local players). Islamabad United (IU) is a Pakistan Super League franchise cricket team representing the city Islamabad and is owned by Venture Capital Leonine Global Sports.